Whether you’re looking for domestic or commercial carpet cleaners in London, we provide both services with outstanding results and really good prices. No job is too small and no task is too insignificant for our cleaning crews. We know that a home is the place to live in. We also know that a house is not a home if it’s not clean. This is why we only employ staff fully trained to industry standards. 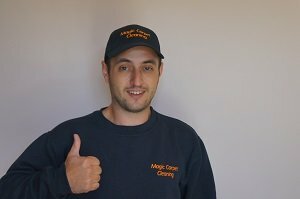 That’s how our teams provide the best domestic carpet cleaning services available in London. 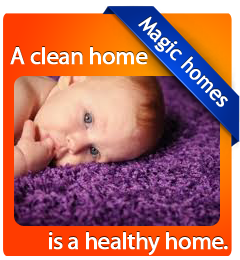 And we only use environmentally-safe solutions, for a toxic free home environment. It’s no secret that a clean office helps you work smarter. 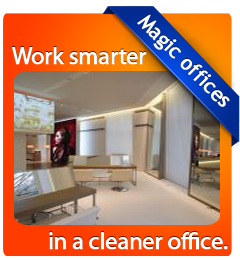 And when it comes to having the office cleaned, you can rely on Magic. 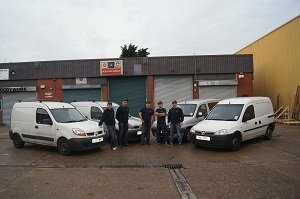 With experienced staff that’s fully-trained to our industry’s standards, we provide unmatched commercial carpet cleaning in London. We can also tackle any type of commercial cleaning, regardless of size or difficulty. That’s why our teams have regular carpet cleaning jobs with businesses all throughout London. All of our cleaners provide expert services you won’t find anywhere else. Hot water extraction: Hot water extraction is the most effective and up to date method of cleaning. Dry carpet treatment: The dry compound treatment is an alternative of the hot water extraction method. One of the most common methods we use is hot water extraction, also known as steam carpet cleaning. We spray the surface with a powerful machine, using eco-friendly cleansing solution. Hot water is injected at high pressure, deep in to the carpet pile. We will start off by thoroughly vacuuming your carpet. It is very important to clean away any loose soil or dust hence preventing it to rub on your carpet before steam cleaning. The carpet is then sprayed with a specific solution for your carpets needs. This will dissolve stains and loosen grit and dirt in and on your carpet. Then we deep steam clean your carpets until the water comes back clean. By cleaning your carpets at regular times with this method, we double the life of your carpet. This has been proven because the grit from the base of the pile which causes carpets to wear out is extracted. Hot water extraction methods success in the last few years is due to the machines used. They are now much more powerful then previous methods. As a result, not only your carpets are cleaner but also the drying time is much faster. When the wand (the tool used to inject water at high pressure and extracts 80% of the water back) it gives the appearance of steam, this is where the term steam carpet cleaning comes from. Our technicians have the combination of industry-leading cleaning technology and the knowledge as well as the expertise with the correct our industry standard training. The carpets at your property will be left looking brand new after the steam cleaning service. In general, the hot water extraction is the most common method now and the most effective; however, there are some specific carpets or rugs mad of high-quality material or made of special fibbers which make steam cleaning not possible. This is when we have to clean them by the dry carpet cleaning method. As like hot water extraction, the carpets or rugs are vacuumed thoroughly before any work is carried out. The absorbent cleaning compound is 98% biodegradable is spread evenly and scrubbed or brushed into the carpet/rug. The compound attracts the grime and dirt and it is left for 5 to 10 minutes to do its work. To help the process, a special designed machine is used to mix the compound into the carpet/rug. This machine is called an agitator. Our London carpet cleaners’ machines are designed especially with its two counter rotating cylindrics. Our dry carpet cleaning methods are geared toward convenient high-quality cleaning for our clients. If you have an oriental rug or carpets of rare or delicate fabric, our dry compound method is perfectly suited to your needs. Our carpet technicians prepare and protect your rugs and carpets and use special chemicals to treat stains and odours, leaving them looking brand new. 100% Money Back Guarantee (no question asked)!